Today, I’ve asked mom of two and child development expert Kai-leé Berke to share some advice for parents looking for the right preschool. 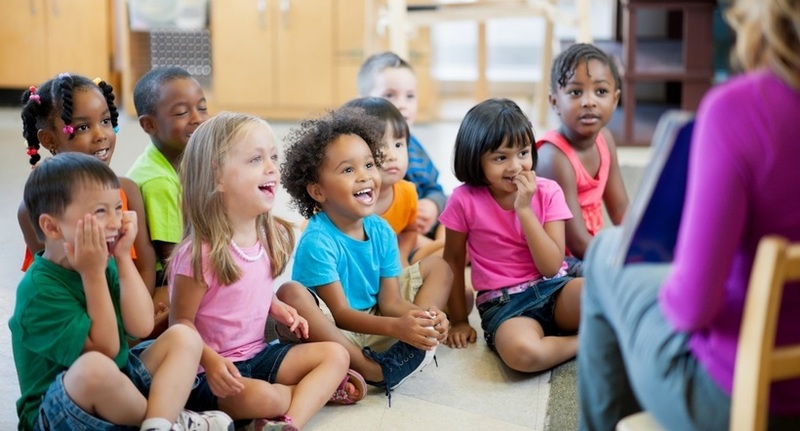 As CEO of Teaching Strategies, a Bethesda-based early childhood company that develops research-based curriculum and resources for educators, Kai-leé spends a lot of time in preschools and child care centers. In the post below, she offers up behaviors to pay attention to as you look for the right place for your child. When my son was a toddler, my husband and I began the daunting search for the right preschool for our family. I wanted to find a nationally accredited program, but at the time there weren’t too many of those within a reasonable driving distance. So, we decided to visit all programs within a five-mile radius of our home. Being a former teacher, I had a list of selection criteria that included things like quality of the curriculum and classroom materials; teacher-child ratios; and teacher qualifications. On one particular program visit we happened to observe snack time in a toddler room. Two teachers were chatting with each other as the toddlers gathered, standing around a circular table. One of the teachers had a box of cereal in her hand. She reached her hand into the box, scooped up a handful of cereal and popped it into her mouth. Then, still talking to the other teacher, she reached her hand back into the box, scooped up another handful of cereal, and without looking at the children dropped it onto the table. The cereal scattered across the table and floor. The children scrambled to pick up the cereal and eat it. It looked like someone feeding a flock of birds, rather than a professional teacher caring for young children. While I can never excuse such disrespectful treatment of young children, I do know that some teachers view routine times of day as boring, annoying, monotonous, time-wasting, or unpleasant. 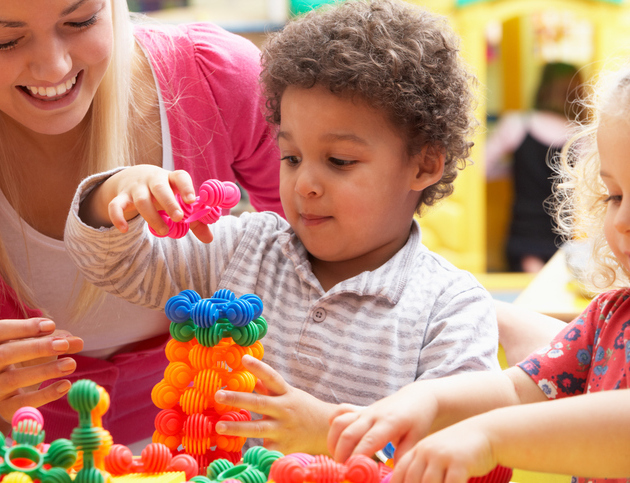 The same teacher who so carefully plans experiences for young children to create with art, enjoy stories and books or play with toys may put no thought into how she interacts with children during diapering, mealtimes or naptime. Daily routines are one of the most important ways for teachers to put theory into practice. 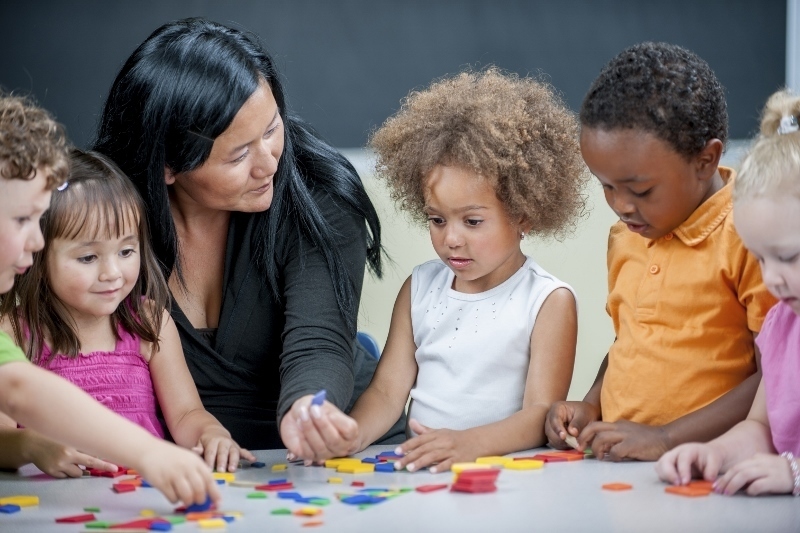 Nurturing routines support children’s overall social-emotional development. The way teachers handle routines can help children build trust and autonomy. Consistent, caring routines give children a sense of predictability about their day; this allows them to feel confident and in control of their emotions and behaviors. A teacher’s consistent and responsive care during routine times of day also helps children develop secure attachments with the important people in their lives. Those secure attachments lay the foundation for all of their future relationships. When you think of it that way, routines deserve a teacher’s time and attention. A few years later, when we were in the process of looking for a preschool for our daughter, we remembered that experience. On each program visit, we made sure to spend time observing how teachers interact with children during routines. Are they treating routines as nurturing, learning experiences or as annoying times of the day to rush through? Do they smile at and talk to children while they change diapers? Do they treat children’s bodies with respect, explaining what they’re doing while they help children put on coats to go outside? Do they encourage relaxed, friendly conversation during mealtimes? Do they have soothing naptime rituals to help children relax before sleeping? The quality of those interactions tells families more about overall program quality than classroom materials, ratios, and teacher qualifications ever can. They tell you how your child will be cared for; if he will always be treated with respect; and if he will enter the program each day believing that this is a place that he can trust full of people who will love him. Kai-leé Berke is a lifelong early childhood educator, mother of two, and serves as the Chief Executive Officer of Teaching Strategies. I’m curious, did she settle on the same preschool for both children? Which ones were they?